Perth's economic boom has put it along the ranks of the world's capital cities resulting in a high standard of living. Various housing options have been recently offered in Perth in line with Australia’s open policy on immigration. Expatriates can have a wide range of property to choose from including apartments, traditional houses with large yards and fancy condominiums in the central areas. Most expatriates prefer to live in the suburbs, however, where rent can be significantly cheaper. Expats who are looking for flatshare options will find that monthly rent for a 1-bedroom with an attached bathroom will cost 680 to 1,400 AUD while monthly rent for a furnished two bedroom house or apartment will cost 1,280 to 3,800 AUD. Expats who are looking for larger living spaces can find a three-bedroom apartment or house for the rental cost of 1,980 to 4,500 AUD. Expats who wish to buy property in Perth will find that the median price for houses has been on an uptrend and is now at AUD 512,178. Many expatriates have been finding homes in suburban neighborhoods such as Beldon, Edgewater, Joondalup and Ocean Reef, which compose the lower end of this average. These areas also comprise about 25% of the city's total population. More expensive districts such as Nedlands and Dalkeith which are closer to the city centre and the Swan River have prices going up to as much as AUD 2.5 million. The highest paid professionals in Perth are generally found in the central and northern outskirts of the city. For a family of four, a grocery budget is around AUD 500 a week, with price differences among items depending on where they are sourced. Seafood is generally affordable but can be exorbitantly priced when bought from certain fishing villages. Fruits and vegetables are cheap while meat and milk are the cheapest owing to the large number of cow ranches scattered around the country. 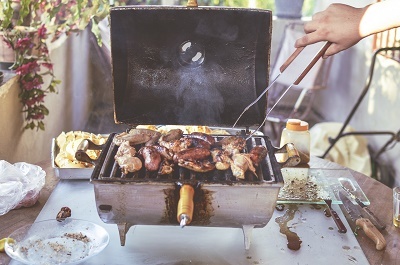 Locally acquired and processed food such as beef, lamb or kangaroo along with exotic varieties like crocodile, shark, ostrich and emu meat are generally affordable. A typical restaurant bill per week for a family of the same size could be around AUD 100 including meals, drinks and takeaways. In Perth, a daily meal in the business district will cost 23 AUD, while a dinner for two with wine in an Italian restaurant will cost 123 AUD. An order of 1 Big Mac Meal at McDonalds will cost 9 to 10 AUD. Perth ranks 42nd out of 282 cities in the world in terms of household utility costs and is relatively more expensive in comparison to other Australian cities. The annual average costs for utilities can amount to 1,200 AUD for electricity, 1,450 AUD for a telephone line, 1,190 AUD for water supply and usage and about AUD 23,328 for mortgage. Other utilities to take note of include the cost of a monthly internet connection, which is 58 to 95 AUD. Expats who are planning to ship their car to Perth will find that one liter of gas costs 1.40 to 1.59 AUD. Perth is relatively isolated in terms of geography in Australia, but in return, the city has invited transport investments which are now paying off. Getting around it has become very convenient with its network of freeways and highways, trains, buses and ferries, plus two major airports which hold a lot of economic promise for the city. The costs of transportation include taxi fare, which begins at a minimum of AUD 10 and runs for about AUD 10 per ten minutes. Other costs include 134 AUD for a monthly ticket of public transport and 2.50 to 5 AUD for one inner city bus ticket. There are plenty of entertainment options for expats to experience while in Perth, with 2 tickets to the theatre costing 246 AUD and 2 tickets to the movies costing 36 AUD. While Perth is not the cheapest place in the world to live, employment opportunities are not hard to come by. For expatriates, living an expensive lifestyle in this city is nothing out of the ordinary and simply a comfortable way of life.